Storyman Bill Peet drew these sketches of The Colonel, an Old English sheepdog, from the 1961 movie 101 Dalmatians. 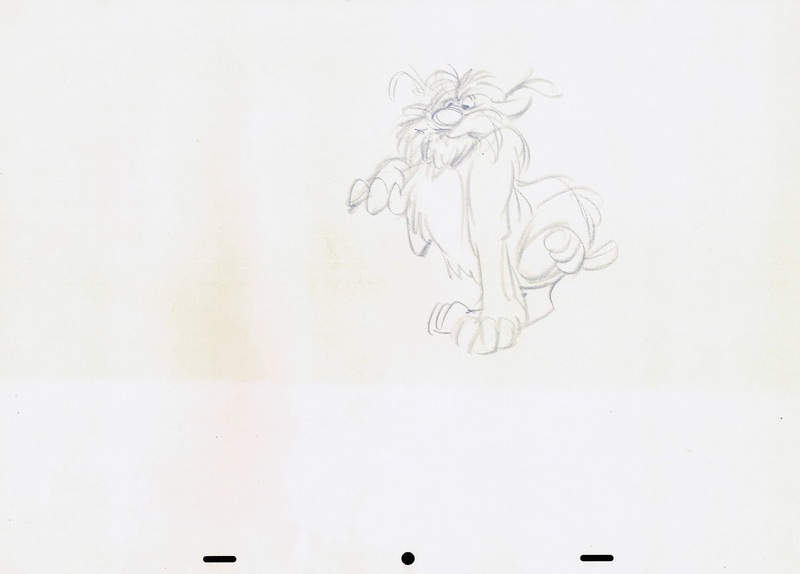 Most of the animation for this character was done by John Lounsbery, who must have been relieved to have gotten this assignment. 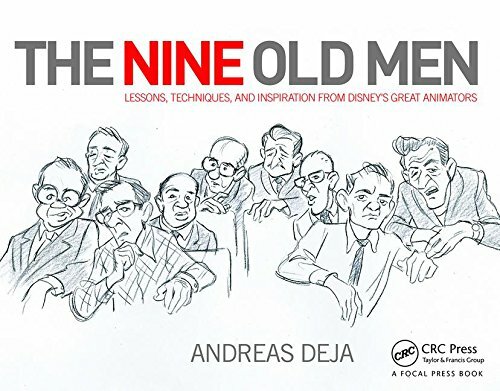 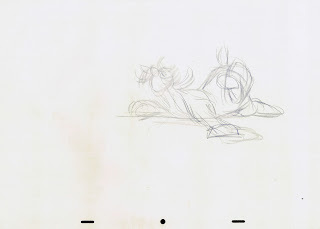 After animating mostly serious and dramatic scenes for the previous film epic Sleeping Beauty, he again was given the opportunity to handle comic animation. When you look at Lounsbery's career, it's his eccentric characters who are the most memorable. 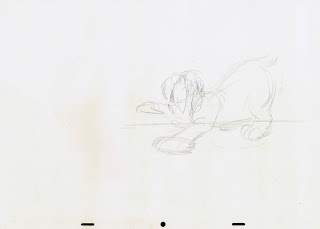 The alligators in Dance of the Hours, some of the Mice in Cinderella, the crocodile in Peter Pan and Tony & Joe in Lady and the Tramp are just a few highlights. 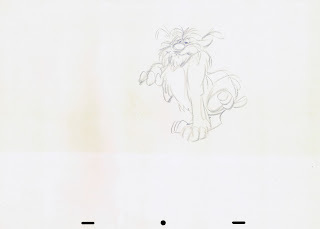 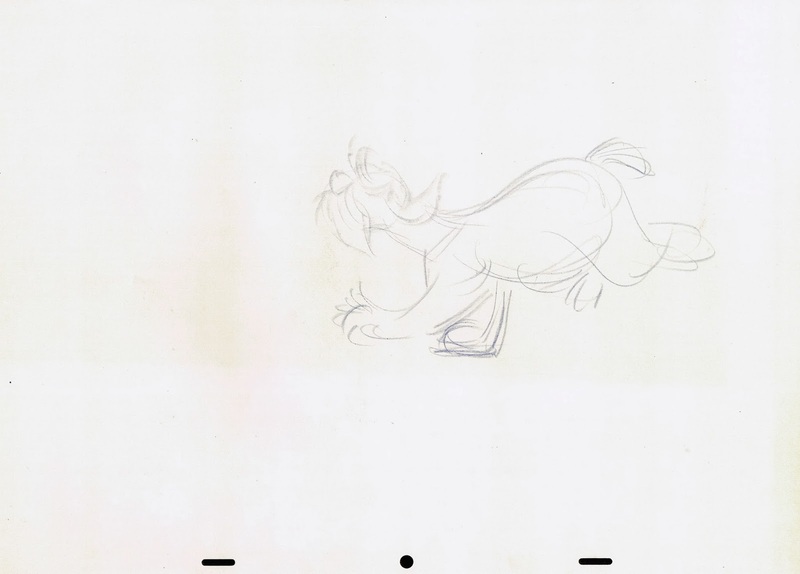 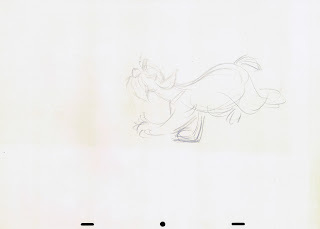 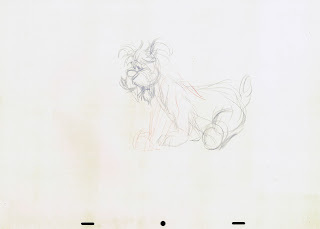 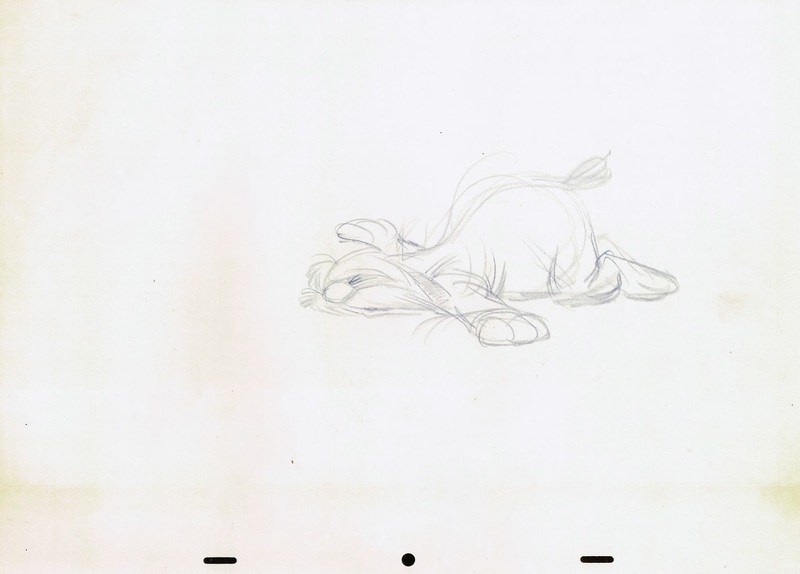 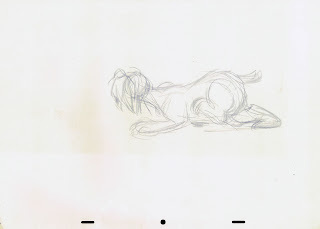 Below are a few of his oversized thumbnail drawings for the scene when the Colonel, after realizing that Pongo and Perdita are close by, tries to meet them half way. 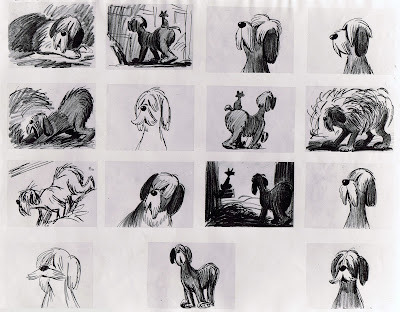 "By jove, it can't be the Pongos!" 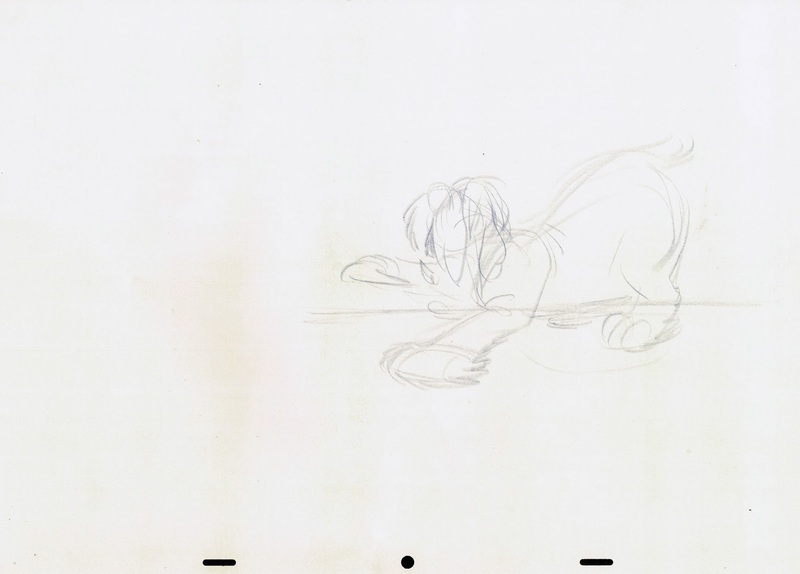 The Colonel runs screen left over a frozen surface, and Lounsbery knows exactly how to play this scene for optimum comic effect. 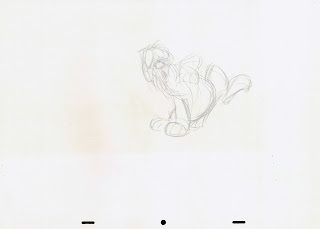 Over the years John didn't get to develop his "own" characters very often in the way Frank & Ollie or Milt did. 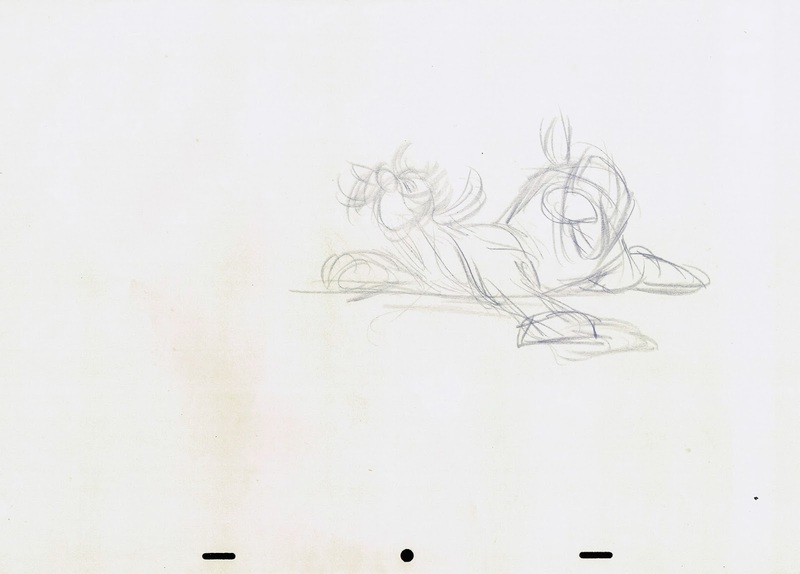 But the Colonel is one of his animated creations. 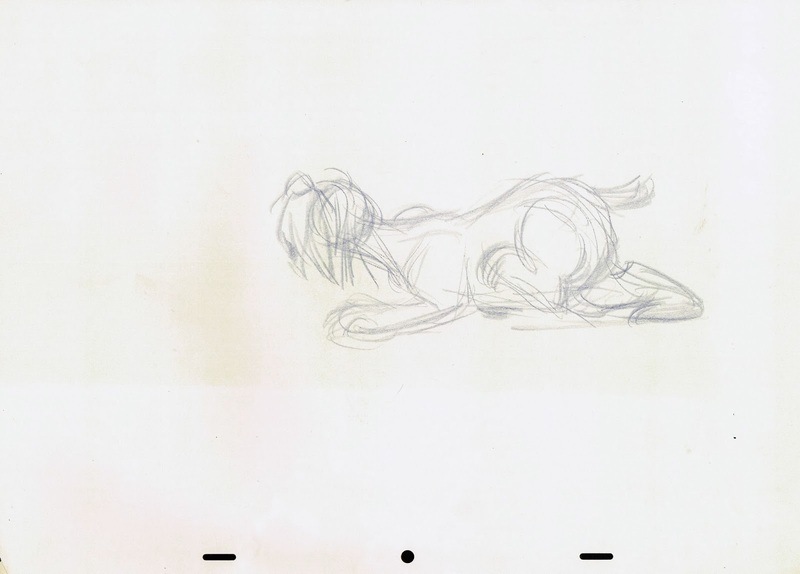 So much life in these drawings.